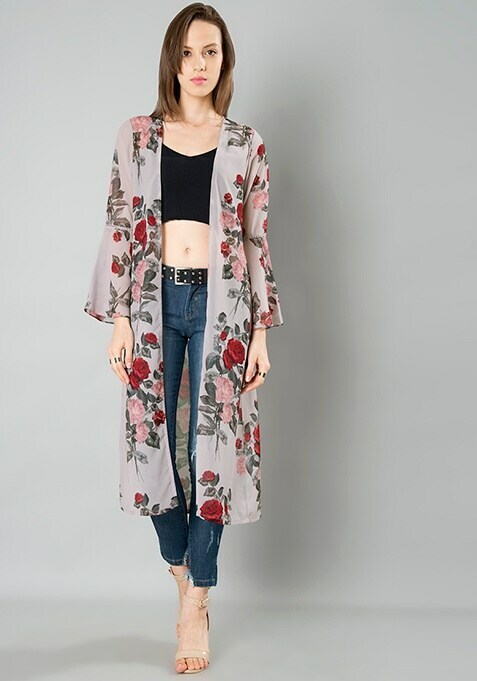 The kimono trend is having a major moment. Add an instant cool and girly factor to your outfit with this mauve floral lace insert bell-sleeve Longline Shrug. Splattered with lovely floral print, it's a must-have. Work It - Wear it over a bodycon dress or jeans and a crop top.